Criticized Over Missing Mexican Students, Governor Of Guerrero Will Step Down : The Two-Way Angel Aguirre had been under growing pressure to step down as the investigation of the student's disappearance dragged on. After the kidnapping and disappearance of dozens of students in his state of Guerrero, Gov. 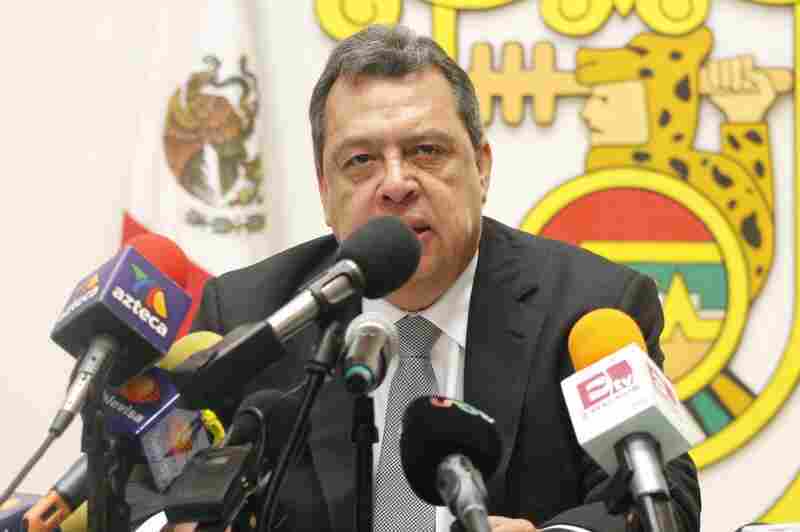 Angel Aguirre announced he would step down on Thursday. The governor of the Mexican state of Guerrero, where 43 students were kidnapped and disappeared last month, says he will leave office. Angel Aguirre had been under growing pressure to step down as the investigation of the student's disappearance dragged on. Speaking before reporters on Thursday evening, Aguirre defended his administration's role in the search for the 43 missing students. But Aguirre said staying in office had proven to be a distraction and in order to create a favorable political climate and shift focus back to the search for the students, Aguirre said he was stepping down. All three major political parties, including his own, had asked for his resignation. Aguirre is a member of the left leaning, PRD — Democratic Revolutionary Party. In the past Aguirre has denied accusations that he knew about the corruption and collusion with drug traffickers taking hold in his state. On Sept. 26, local police in the town of Iguala attacked the students. Six people died and 43 students were kidnapped. Mexico's attorney general on Wednesday said the mayor of Iguala ordered the attack, and that both the mayor and his wife are operators in the drug gang as was the entire local police force. Authorities have arrested 53 people in the case, including 36 police officers and 17 suspected gang members. The mayor of Iguala, his wife and the town's police chief are all fugitives.